I remember being very excited, 30 years ago or so, when I learned that there was a novel based on the "really, really cool" game my friends and I were playing every weekend. Even at the tender age of 11, I had been reading Andre Norton for a couple of years and liked her work. Quag Keep was a good example of Norton creating a suitably exotic locale and likable characters who were not entirely cut from the same cloth. (Though I still haven't a clue as to how one pronounces "Ingrge".) And, yes, the ending was frustrating since she never wrote the obviously necessary sequel. Until now...the quondam Ms. Norton's habit of co-authoring novels in her later years was always a hit-or-miss proposition, and this time it missed. First off, if Jean Rabe is going to write a sequel to Ms. Norton's book she should make sure she's done some research and gets the characters' names right -- the pseudo-dragon's name is "Afreeta" not "Alfreeta" (which sounds like some faux Italian pasta dish). Even a cursory reading of the first novel makes that clear. There's also no context and, with the exception of the 7 original characters and Quag Keep, almost no reference to the first book. The story begins in a nameless city where the group is hard up for cash, meanders through nameless (and geographically confusing) countryside (whatever happened to the Sea of Dust which surrounds QK?, for example), suffers some rather arbitrary plot devices to get the characters back together after they have been separated, and then ends up with a lackluster ending. And I was disturbed by the callous death and dismemberment of several of the characters. I'll refrain (though just) from spoiling things entirely but one character gets "offed" in the first few chapters; and another has his arm sliced off. Now, don't get me wrong, I've read (and enjoyed) novels where fairly important characters die, sometimes even arbitrarily, but the original QK was a young-adult novel and its "atmosphere" was not a serious theme but an adventure story -- the heroes aren't supposed to die or, if they do, it's for a fine, suitably epic cause (Boromir's death in LOTR comes to mind). Perhaps I'm getting old, but if this is what passes for young-adult fantasy nowadays, let me return to the old stuff like Norton's own original Witch World novels or her Solar Queen stuff. Finally, the villains in this piece just don't measure up. I was hoping to find out who was behind the mysterious and sinister QK Productions. 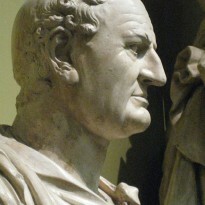 Were they Earth men who had discovered how to pass between worlds? Were they natives of the game characters' world? Were they from both? What was their purpose? And whatever happened to the master dice and the gamemaster's notes that Milo and the others captured at the end of the first novel? Instead, we have a stereotypically black-cloaked villain named Fisk and his master, the distilled quintessence of the evil Ids of the sorcerors who built QK (shades of Forbidden Planet), Pobe. Pobe?...Pobe? How is this pronounced? Like "Job" from the Bible, or are both syllables pronounced so it's like "Po-bay"? Either way, it doesn't inspire much in the way of fear. Where's the menace inherent in names like Sauron or Morgoth or Lord Foul the Despiser? "Pobe" is the facial cream my girlfriend uses. 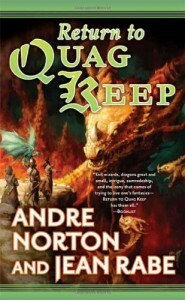 Read the original Quag Keep and, if you like it, read Norton's older fantasy like the Witch World (before she began farming it out to other authors). And if you want more adult-oriented fantasy, try authors like Robert Jordan, George Martin, Glen Cook, or Steven Erikson. I am not looking forward to anymore QK sequels from Ms. Rabe's pen, I'm sad to say.